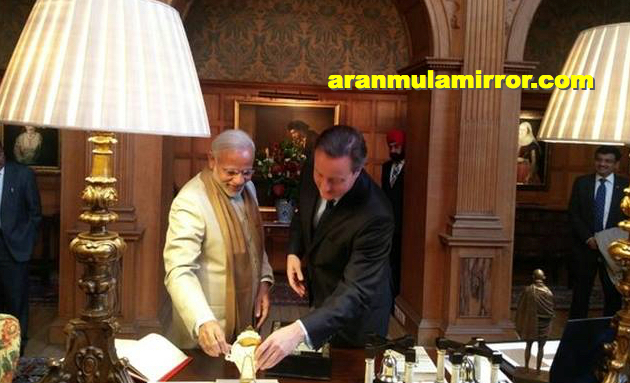 Prime Minister Narendra Modi today gifted his British counterpart David Cameron a specially handcrafted Aranmula Kannadi. We are very proud to say that, our craftsman made this special aranmula mirror for Mr.Modi. We are getting lot of requests to make such special aranmula mirrors to such prominent people across the world. Do you know what made aranmula mirror as the primary choice for such high profile visits and very important people? because each aranmula mirror is 100% handmade and very unique. there will be one copy of such a mirror in the entire world.